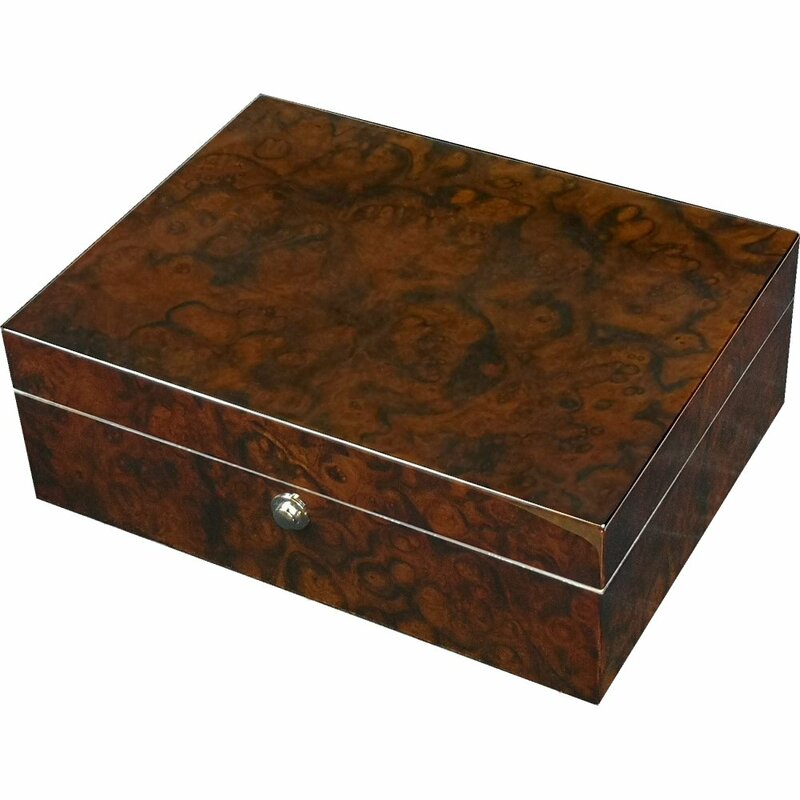 This is a 20 cigar humidor made specifically for us and is made from the finest walnut wood veneer and finished with 15 coats of lacquer to give it a rich luxurious look. 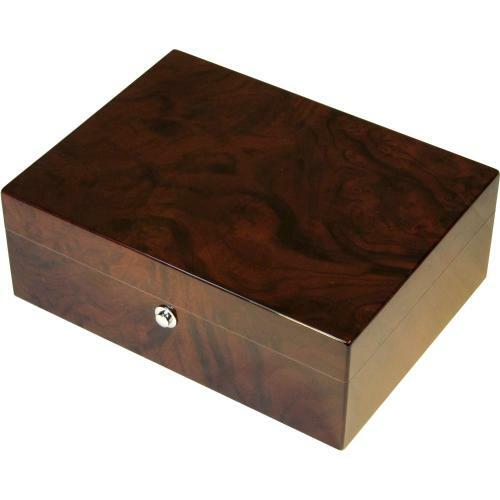 The interior is lined in cedar. 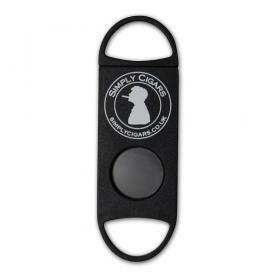 It has a silver press lock. 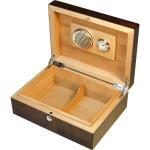 It has a removable divider in the base to keep cigars separate and accommodate different sizes. 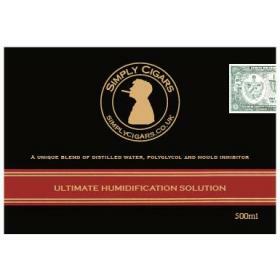 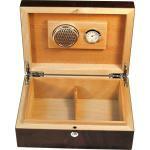 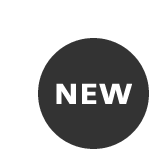 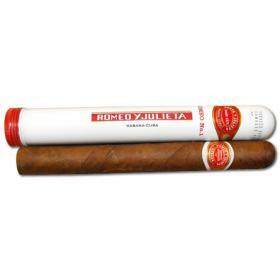 It is fitted with a precision hygrometer as well as humidifier system for perfect cigar storage.